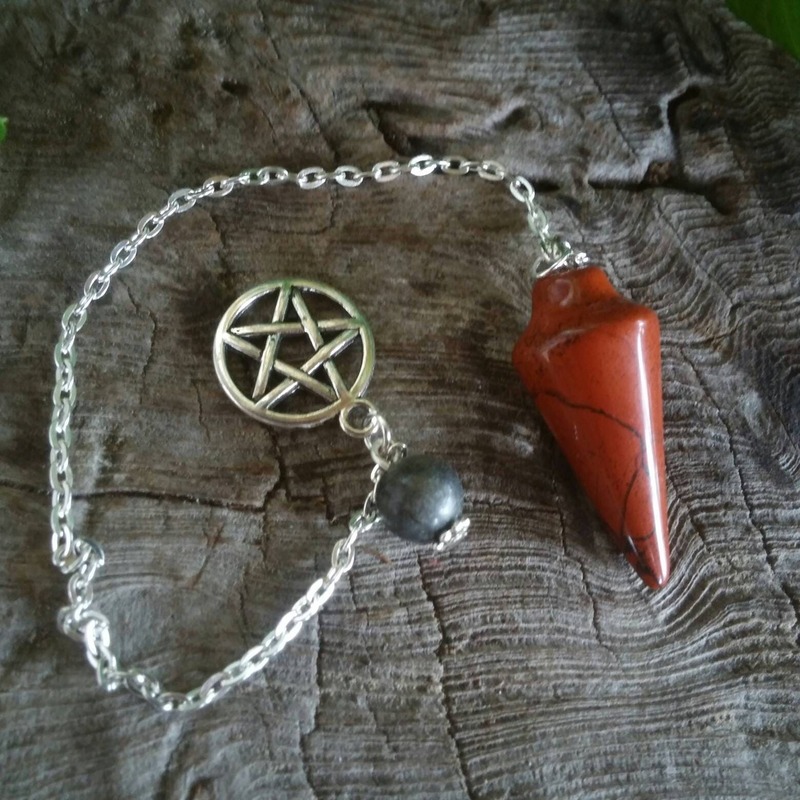 The red Jasper pendulum is 35mm in length. The black Jasper bead is 8mm. The silver plated curb chain is approximately 8 inches. 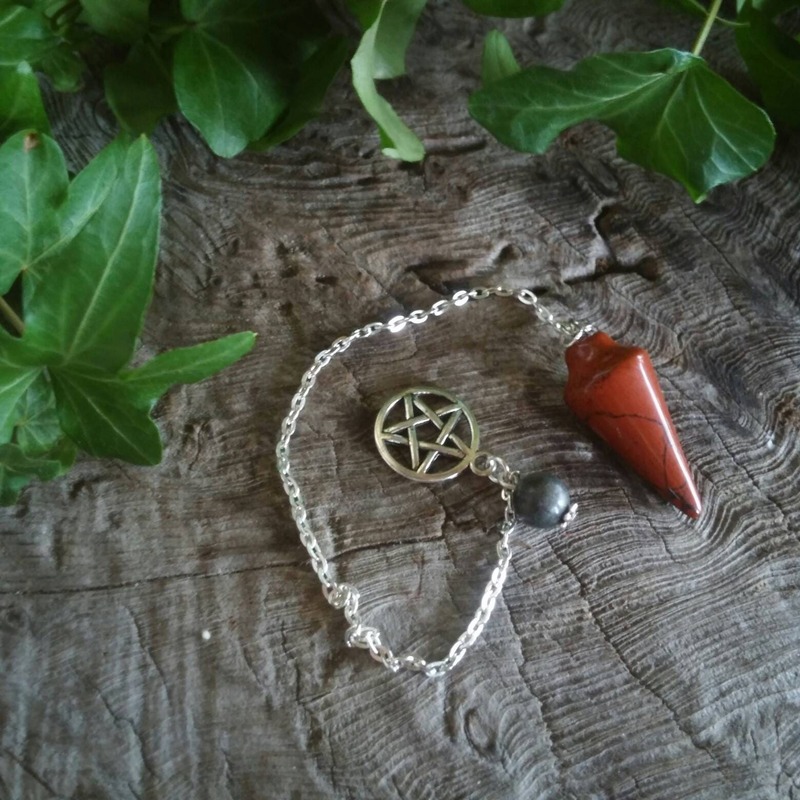 Red Jasper is a red patterned crystal, found worldwide. It is said to bring problems forward so that they can be dealt with before they become too big. When held in the hand it is believed to ground us physically and emotionally, giving insight into difficult situations. 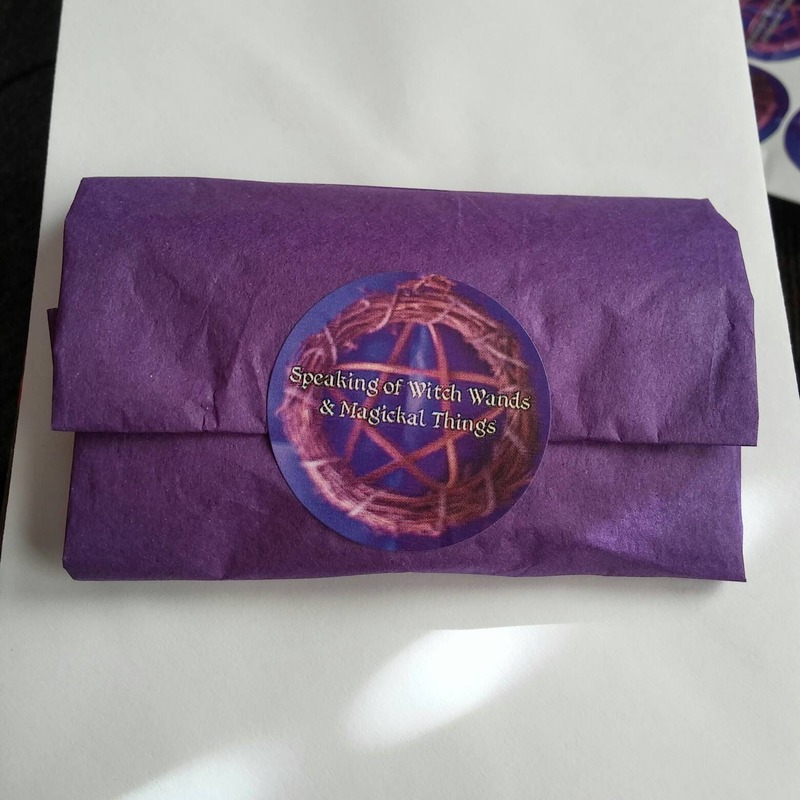 In healing it can be placed on the Base Chakra. It is reputed to dissolve blockages in the liver or bile ducts, strengthen and detoxify the circulatory system, reduce digestive disorders and support the sexual organs. 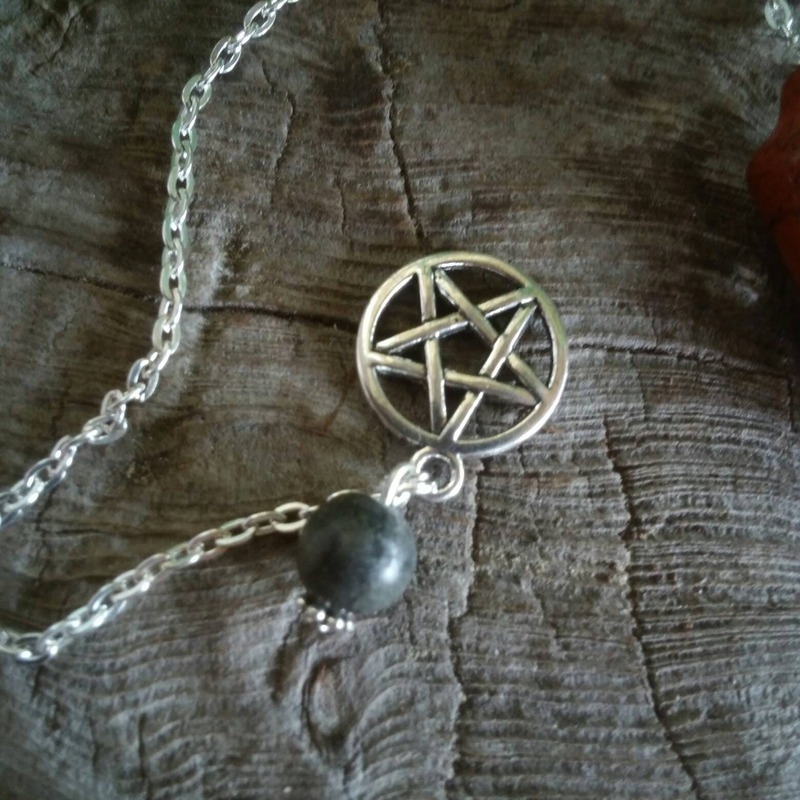 As this stone is said to control emotions it can also soothe the nerves. It is held to be a powerful healer and can be used for a long time as it releases it's energy slowly. We do not claim that Red Jasper can do any of the things listed above, we are only sharing what is traditionally believed of this crystal. Still, we don't repeat things we don't believe or have had experience of ourselves. 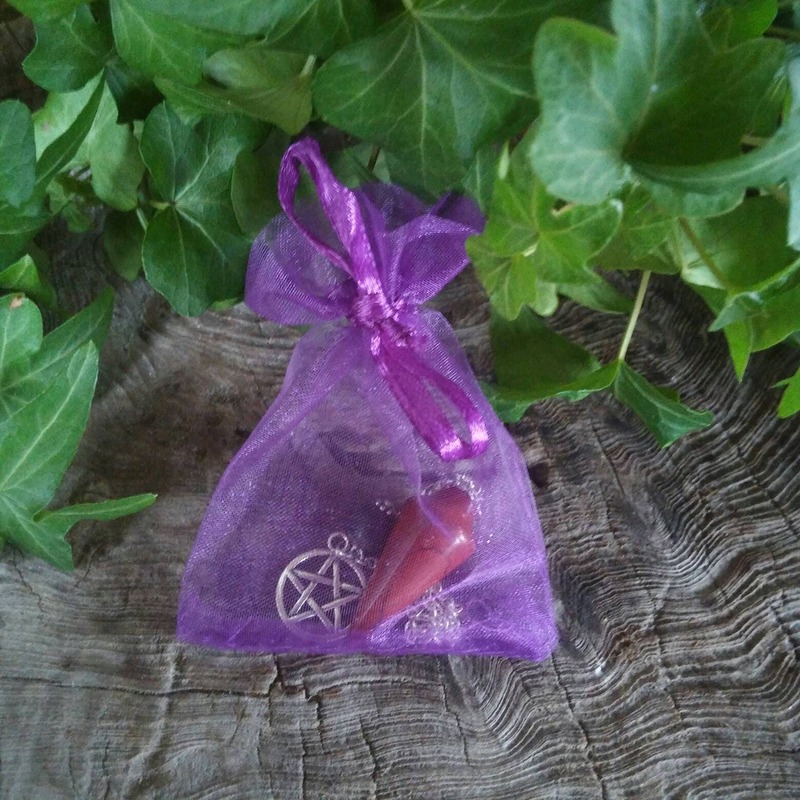 Please see our Pendulums section http://etsy.me/1V8bUWp for our entire range of dowsing pendulums.